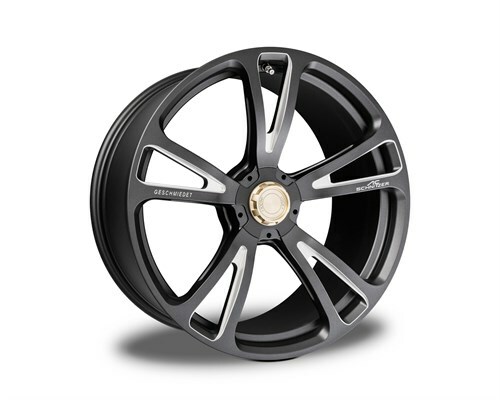 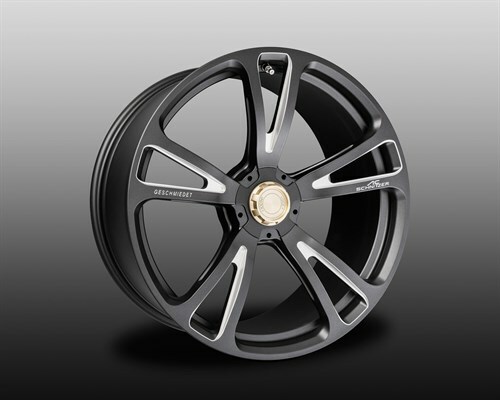 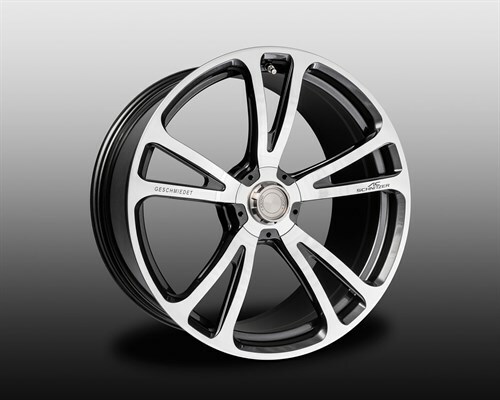 AC Schnitzer AC3 Lightweight Forged Rims "EVO"
The evolution stage of the AC3 lightweight forged rims "Evo". 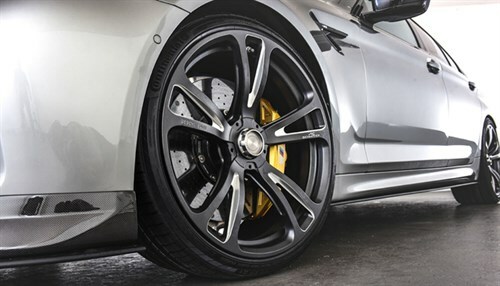 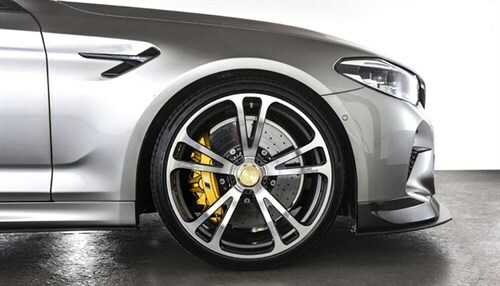 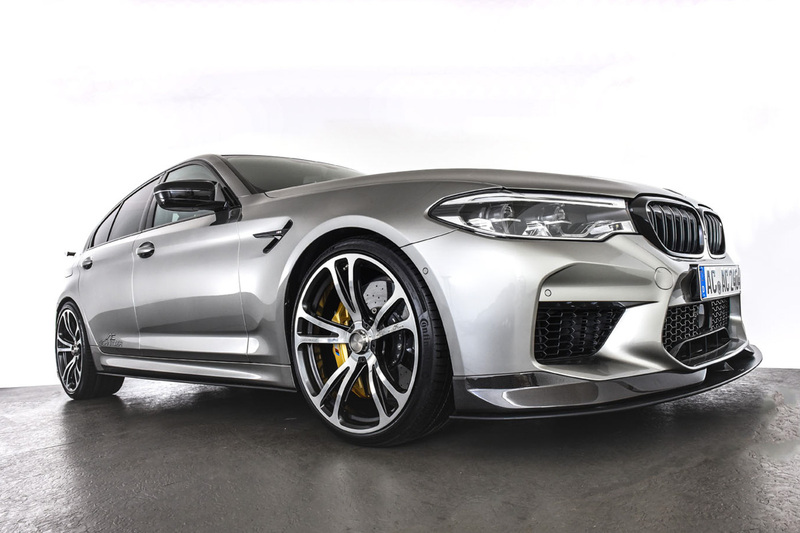 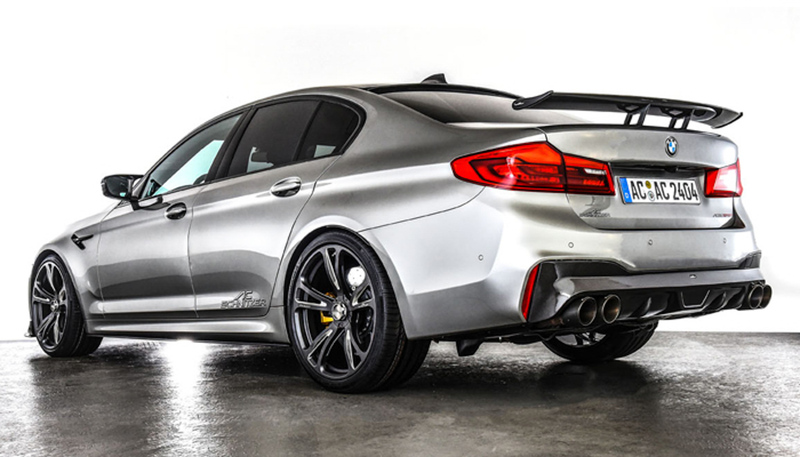 The highlight of the AC Schnitzer rim technology and the exclusive development for the BMW M5 is the latest development stage of the AC3 Lightweight Forged Wheels "Evo" with central locking optic. 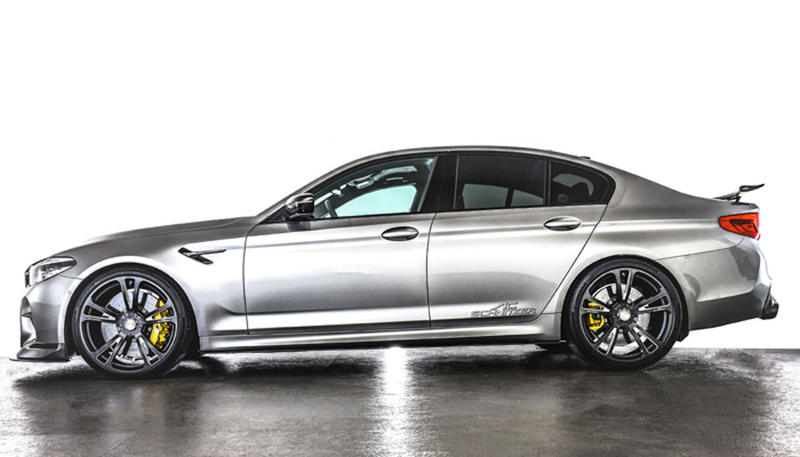 In the size 10J x 21-inch offset 22, the AC3 "Evo" Rim is fitted to the BMW M5 with 275/30 R21 tyres on the front axle and 285/30 R21 tyres on the rear axle. 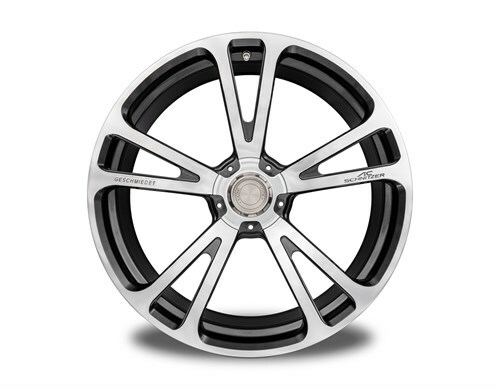 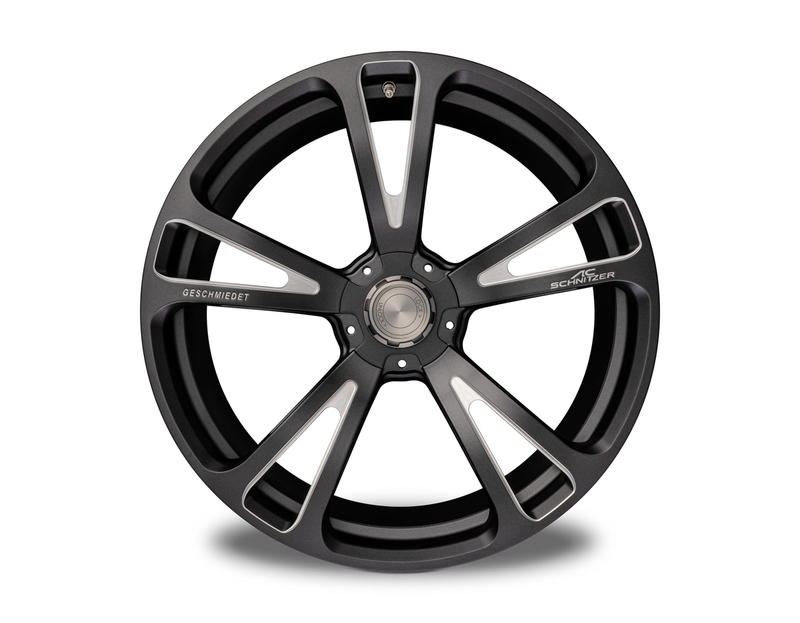 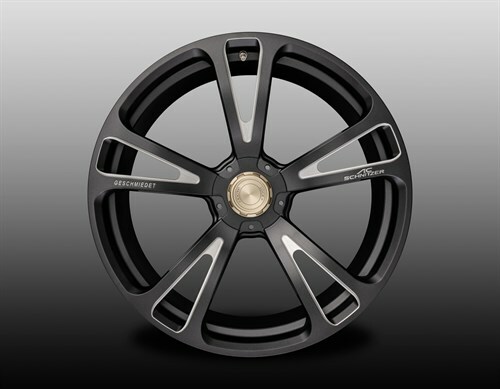 Even though the new Lightweight Forged Wheels in 21 inch clearly belong to the AC3 design family, their appearance is particularly technical due to the central locking nut and the fact that the wheel bolts are no longer visible. They "disappear" under a special aluminium cover that is screwed together with the additional central lock. 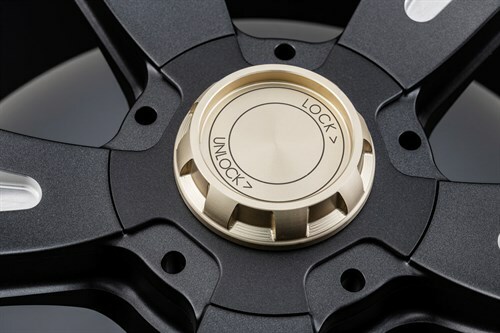 In addition to their sporty appearance both together also serve as anti-theft devices, which is why a special key is included in the scope of delivery. The AC3 Lightweight Forged Rims "Evo" are available in the colour variants BiColor silver/anthracite or BiColor anthracite/silver. 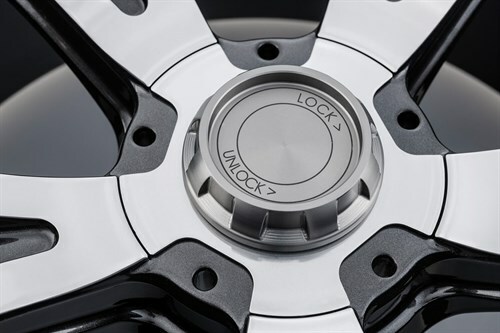 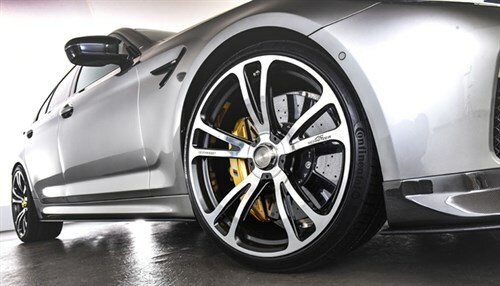 Depending on how extravagant or discreet the customer wishes his wheel set to be, he can choose between grey or gold for the colour of the central locking nut. The Lightweight Forged Rims have a partly polished and partly painted surface. 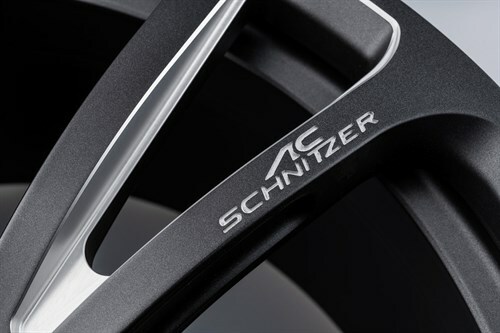 Regardless of the colour, all AC3 Lightweight Forged Wheels have two noble, milled letterings: "AC Schnitzer" and "GESCHMIEDET" (forged). The central design element of the AC3 Lightweight Forged Rims "Evo" is not only in a figurative sense the visible central locking nut with aluminium cover. This unit makes a hub cap superfluous for the first time in the "rim history" of AC Schnitzer. 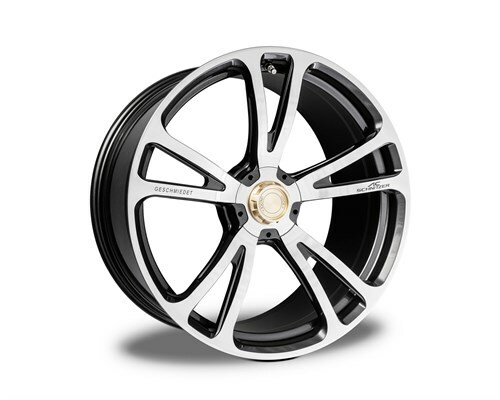 The filigree yet solid spoke matrix with its five triangular struts of the AC3 Lightweight Forged Rims has been further weight-optimised for the new 21-inch version and for the first time also in the visible area of the rims. 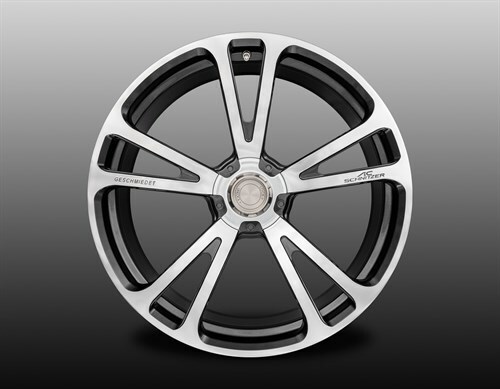 The side walls of the rim spokes have recesses which minimize the wall thickness of the spokes. 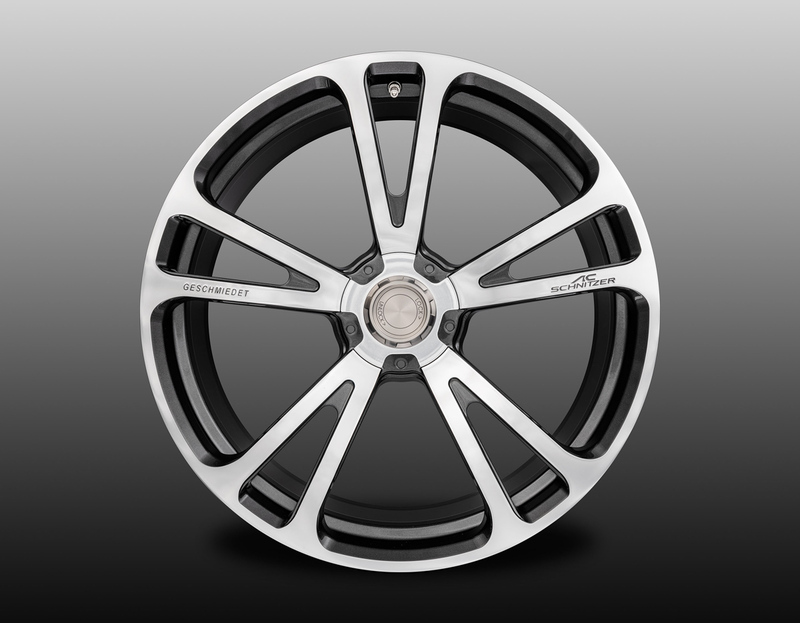 However, the "art of omitting" has not only led to a weight reduction in the AC3 Lightweight Forged "Evo" Rims, but also to an even sportier appearance.